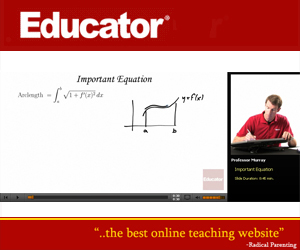 Support Educator.com by linking to us! We have created some easy linking options for you below. To use any of the text links or logos below just copy the HTML code below onto your page. Thank you for the support! In order to qualify for school district licensing, applicants must first place an Educator.com trademark logo on the school's website to prove the legitimacy of the application. Educator logo 150x40 (2.2Kb PNG) Educator.com - Subscribe to a world of knowledge! Educator logo 110x80 (2.0Kb PNG) Educator.com - Subscribe to a world of knowledge! Educator logo 125x125 (7.5Kb PNG) Educator.com - Subscribe to a world of knowledge! 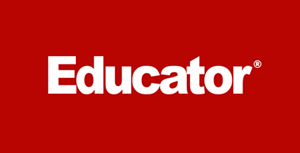 Educator logo 300x153 (8.4Kb PNG) Educator.com - Subscribe to a world of knowledge! Educator logo 300x250 (29.4Kb JPG) Educator.com - Subscribe to a world of knowledge! Educator logo 300x250 (57.9Kb PNG) Educator.com - Subscribe to a world of knowledge! 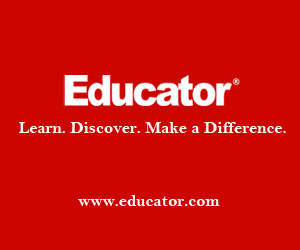 Educator logo 468x60 (23.7Kb PNG) Educator.com - Subscribe to a world of knowledge!